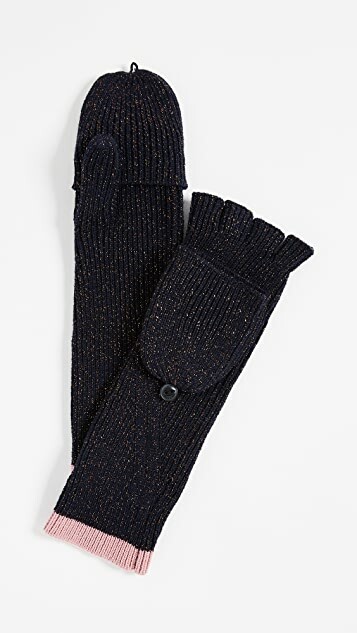 These wool Rag & Bone fingerless gloves shimmer with delicate metallic threads. Button mitten pop-top. 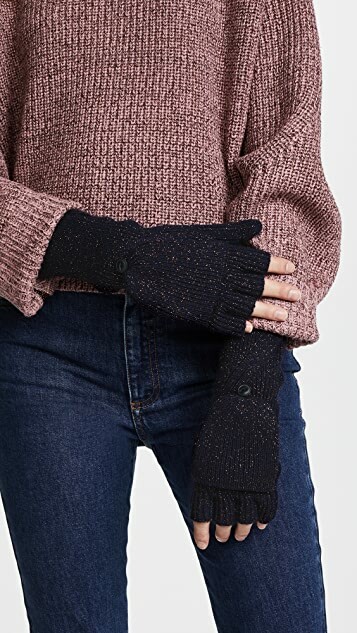 Contrast cuffs. 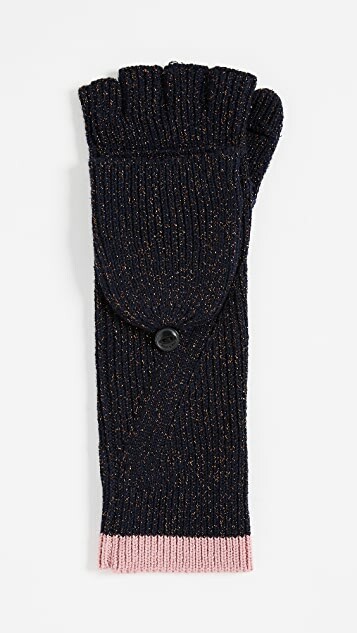 88% merino wool/7% polyester/5% polyamide.